Lunar: An open-source nightlight clock. When minutes don’t matter, only reference the hour and place yourself in sync with the cycle of night or day with Lunar, a glowing night light and timepiece. 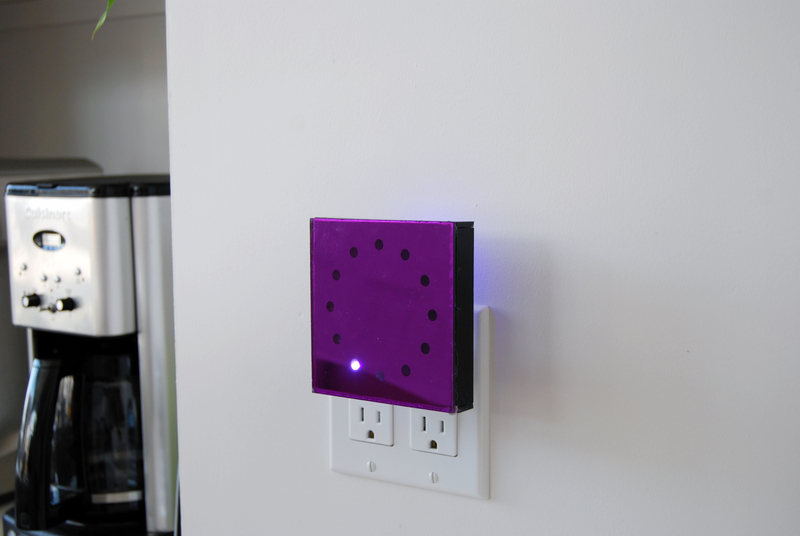 This clock has no hands; it is simply 4” x 4” square with 12 circles that glow to tell you the current hour. The back of Lunar is also luminous and emits a soft blue glow onto the wall behind it. Lunar will plug into any US electrical outlet. It comes pre-programmed to show the current hour but can be reprogrammed to represent differing units of time using the micro-controller. The front plate of Lunar houses twelve data points (20 millamp diffused LED bulbs) that make one revolution every 12 hours, the back has one 20 millamp LED. * The button on the right turns the backlight on/off. * The button on the left is used to set the time. * Make a prototype: 3d print the enclosure in PLA and Laser cut face in black acrylic. * Move Arduino board to attach at back of enclosure for easy access. We raised funds on Kickstarter to produce the first run of Lunar. Click here to check out our successful Kickstarter campaign.